Stabilize your camera on any surface! Camera beanbags and ground pods offer ultimate flexibility and portability wherever your photography takes you. 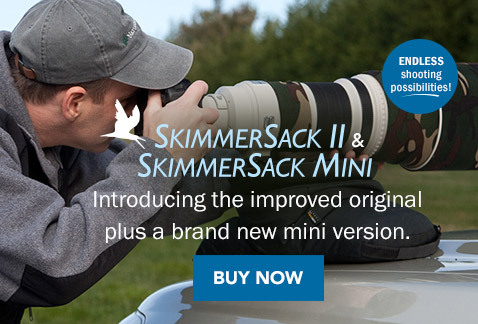 Camera beanbags, like our very own SkimmerSack II, are great for travel or shooting from a car alongside the road. 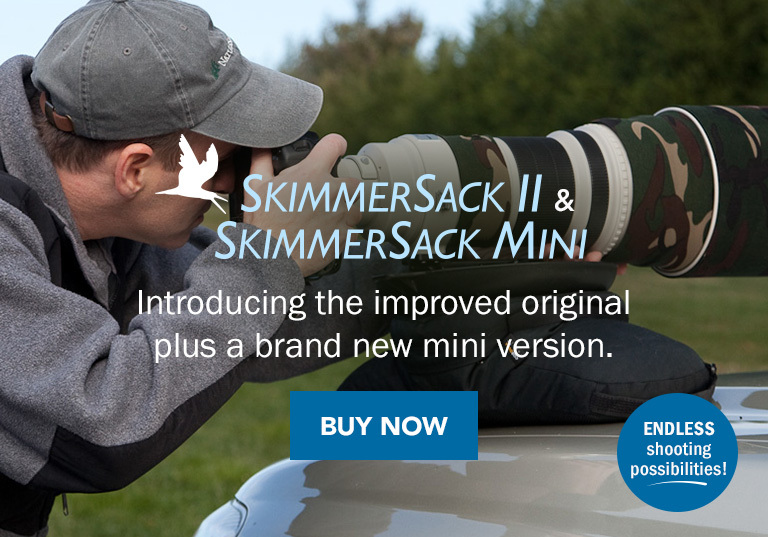 Our Skimmer Ground Pod camera support is perfect for capturing ground level photos of birds and other wildlife.